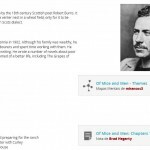 A New Way to Discover Study Resources! If you have logged in today you will have noticed that we made a few changes! The navigation and look and feel of the site have had a major upgrade. Our goal is to create the best learning website out there, so we’re always looking to improve. Below you will see a brief summary of some of the major improvements, so you can get back to your study without delay! Home Page: We have redesigned your Home Page to focus on study resources. On signing in, you will now see a selection of your recently viewed resources. You will also notice that we have added a bunch of different suggested resources to get you inspired! Each section on your Home Page shows different resources such as the Most Popular on ExamTime, Featured, study resources your friends have created etc. 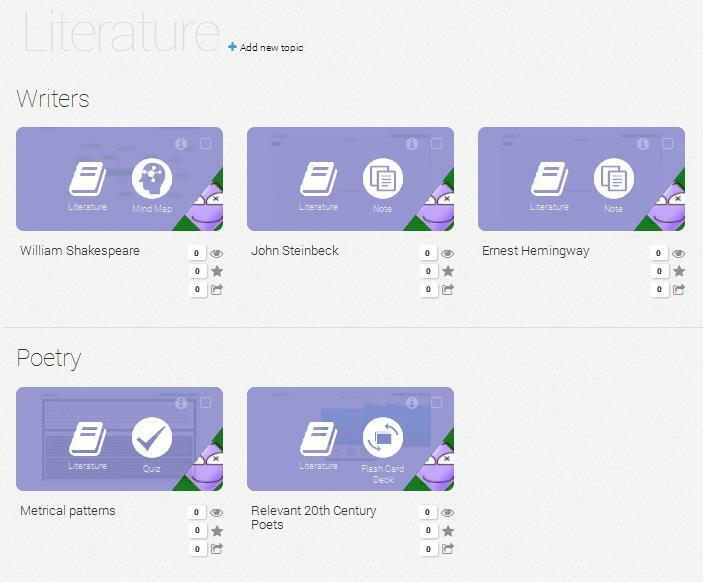 Access your complete range of resources by selecting “Subjects” on the top header. 2. Click on a Subject. You will find your study resources divided by Topics as previously specified by you. 3. If there are more than 4 resources on a certain topic, click on “More” to view the rest of your resources. No More ‘Explore’ Drop-Down: From now on you will find the options for ‘Subjects’, ‘Groups’, ‘Friends’ and ‘Calendar’ along the top header. 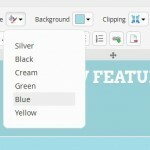 While the options to create a Mind Map, Flashcard, Quiz and Note can be found by clicking on the large green ‘Create’ button. Search Bar: The search bar now takes center stage along the top of your screen. 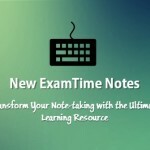 This brings to the fore the ability to search the ExamTime library which consists of all the public resources from every user on ExamTime! Obviously this can be a fantastic source of quality study resources. No More ‘Actions’ and ‘Share’ Drop-Down: When viewing or editing a study resource you will now see all the different possible actions and share options spread out across the top of the page, not in a drop-down as before. Quick Navigation Footer: If you scroll down to your footer you’ll see it now acts as a quick way of navigating through your subjects and profile. We have improved nearly every page in some way or another so the above are only the big improvements. Everything you could do before you can still do now, so don’t worry if you can’t immediately find something. If you are having any trouble finding something then check our FAQ or email us with any questions or feedback you have! 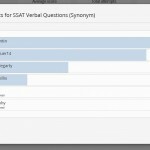 This entry was posted in Latest news and tagged ExamTime News, New ExamTime Feature. Bookmark the permalink.